Mommy’s Going to Work it Out Baby! 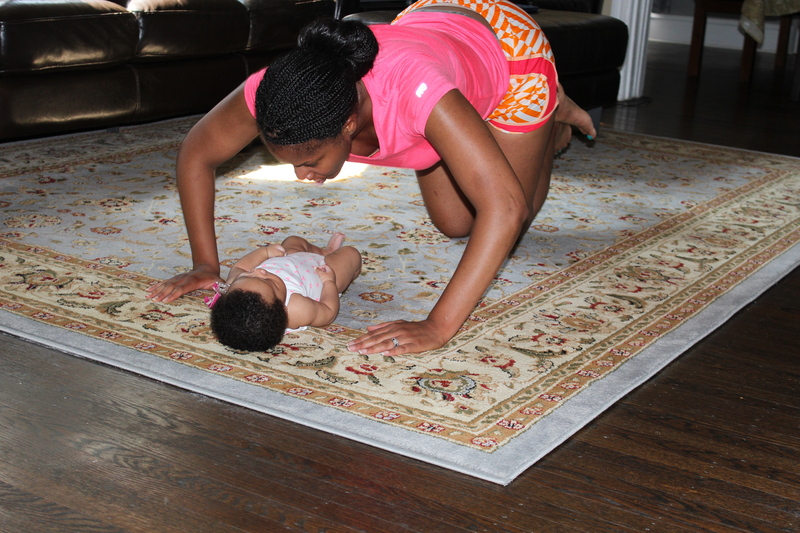 In my previous post highlighting some tips and information that has been helping me as a new mother, I mentioned finding ways to exercise to get back that pre-pregnancy body or to get in even better shape. I am almost 5 foot 11 inches, and my pre-pregnancy weight was 155 pounds. I gained about 35 pounds and have since lost 22 pounds. I am grateful that I can fit back into most of my summer clothes, but that “jelly belly” was left behind and needs to get toned. Though baby Quinn and I go for walks and even light jogs most recently with me pushing her in the stroller (she will be eight weeks tomorrow), we’ve been experiencing a lot of hot and humid weather and thunderstorms where I reside, right outside of Philadelphia, PA. This makes it difficult to always go outside. Also, I need something more intense to get back in shape. 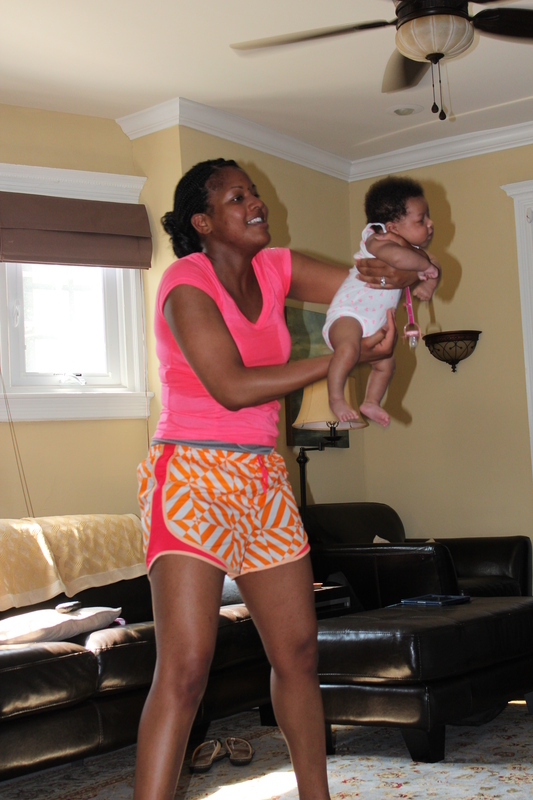 I ordered “Hip Hop Abs,” which I am extremely excited about doing, but it is just not possible for me to stick to the workout schedule consistently and see results with the baby needing my attention, usually as soon as I want to start the workout or get really into the workout. To not neglect baby Quinn, I searched for a workout program that would include her. 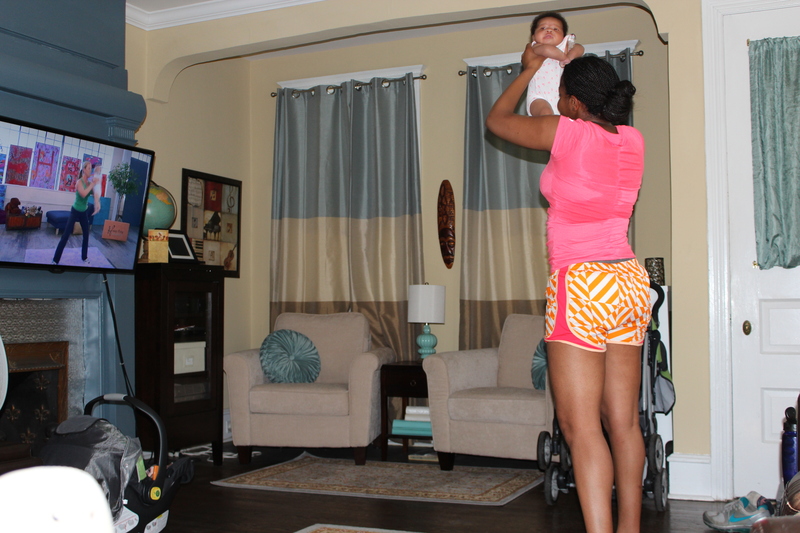 I ordered “Happy Baby Workout” through Amazon, and it is awesome! We’ve been doing the workouts for the past two weeks, and though there are a few instances when we are doing floor work that involves her lying there while I do jumping jacks or push ups where she puts up a little fuss, she seems to be into the workout just as much if not more than I am. 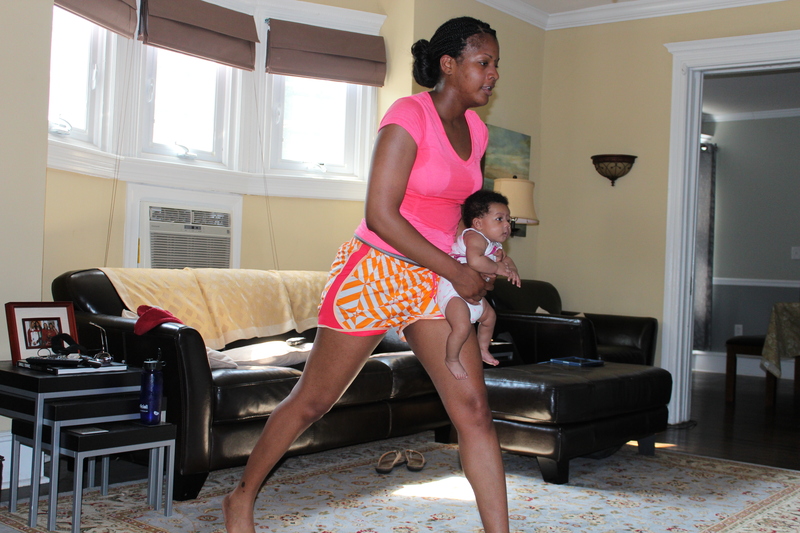 Just because it is a mommy and me workout, do not let that fool you! I definitely felt sore after working out for a couple of days and do get a good sweat going. Actually, the baby taking part in the workouts is six months, basically four months older than Quinn, so I just modify some of the exercises to accommodate her lack of neck an head control, and she seems to enjoy it. Another plus is that when Quinn is a bit fussy throughout the day I try some of the exercises we do such as the dead lift, lunges and baby bench presses, and it usually calms her down immediately. It would be fantastic to be able go to a mommy and me workout gym. There is a Little Gym not to far from where I live in Jenkintown, PA, but Quinn needs to be a little older to participate. If you know of any places in this area or the Philadelphia area, please let me know. 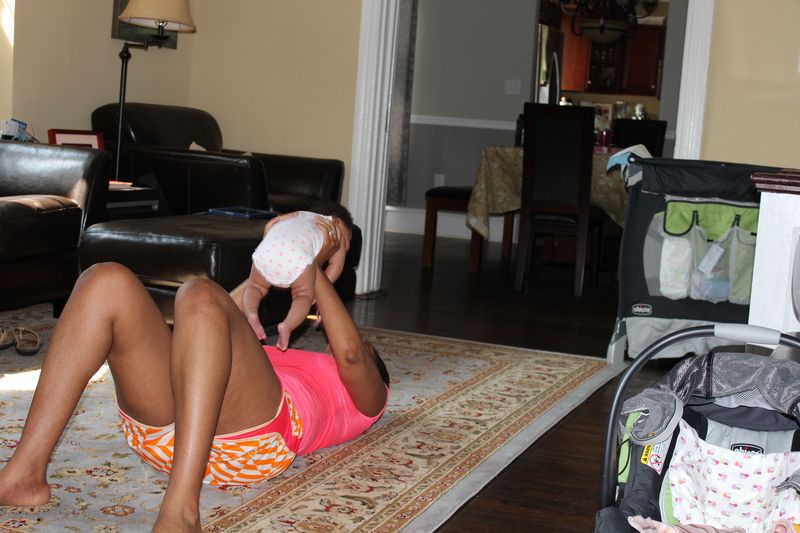 Also, if you have any other exercise suggestions or have tried the Happy Baby Workout, I’d love to hear about it! ← Lucky Number: Seven Baby! This post was originally on my Journey of Anonomz blog, but I decided to repost it through Mommy’s Baby Steps for those new moms trying to get in shape for the new year.